Entering 2019 with plenty of question marks, what do we make of one of Super Rugby’s most enigmatic sides? 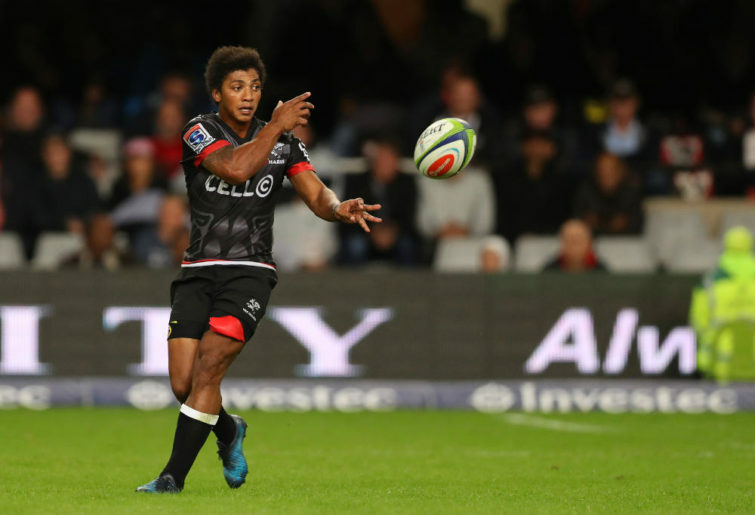 In the ninth part of our 2019 Super Rugby preview series, we take a look at the Sharks. In some ways, the Sharks were lucky to reach the finals in 2018. They looked down and out after only winning twice in their first eight matches and, while they did enough to scrape in over the remainder of the season, they only won consecutive matches twice. 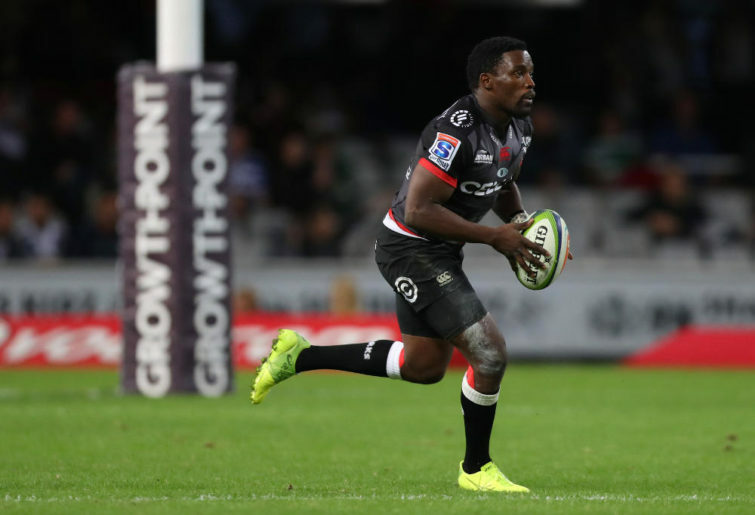 Nobody expected the Durban-based side to challenge the almighty Crusaders in the quarter-final and… that’s just what happened. An easy 40-10 win for the eventual champions brought the Sharks’ season to an unceremonious end. Few teams gain territory by foot better than the Sharks. 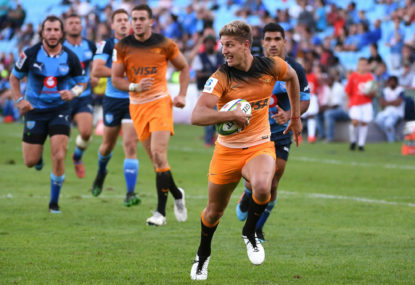 Their 603 metres gained through kicks per game was second in the competition a season ago – almost 60 metres more than the third-placed Waratahs. 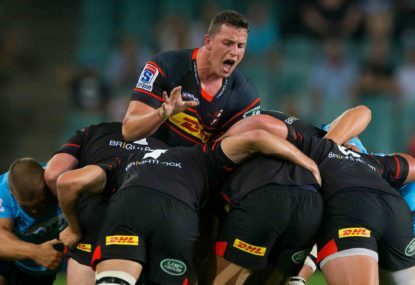 While they still have room to improve on the offensive side of the ball, they’ve unarguably got one of the most important aspects of the game virtually perfected, thanks in no small part to the play of flyhalf Robert du Preez. Defensively, the Sharks stack up better than you’d expect too. 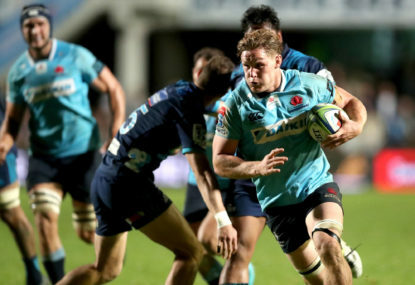 They only conceded the gain line on 44.9 per cent of runs last year – the best in the competition – which is due in part to their league-low 22 missed tackles a game. They might not be the most skilled team in the competition, but the Sharks make their opponents work very hard. If the Sharks want to move up the ladder in 2019, they simply have to get better with the ball in hand. Some of their statistics from a season ago make for dire reading. 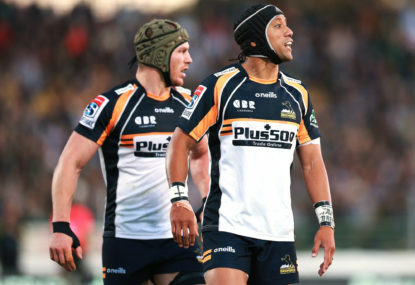 Their 609 run metres per game were lowest in the competition, 2.9 tries was good enough for equal last, while they were also second in Super Rugby for handling errors. There was so little confidence in their ability to chalk up five-pointers that they elected to go for penalty goals more than any other team in the competition, despite being in the bottom five for penalties awarded. A stellar kicking game can complement a potent offence wonderfully – but it shouldn’t be leaned on too heavily. It’s easy to look at the Durban team’s record and meek finals exit from a season ago and write them off as a contender. Are they a genuine championship fancy? Probably not. But with a team almost completely intact from last season and the South African Conference in a bit of a flux, they should have what it takes to reach the finals again in 2019.